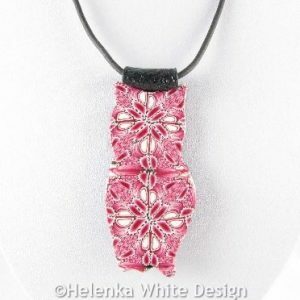 Here you can find designs made with polymer clay using the Kaleidoscope technique. 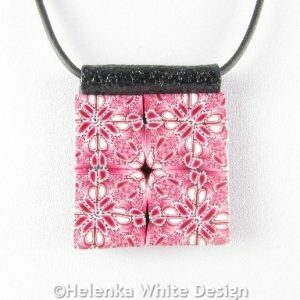 Handcrafted pink polymer clay square earrings made with a Kaleidoscope pattern in pink, white and black polymer clay. 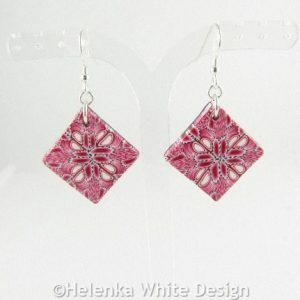 The earrings hang on Sterling silver ear wires.